The Jurassic saw a world filled by dinosaurs. Giant plant-eaters munched their way through ferns and conifer forests. Large carnivores chased them down for lunch. They were found on every continent. This was at the height of the Age of Dinosaurs. They thrived in the warm environments of the time. But dinosaurs were not always so noticeable. Fossil evidence shows that they arose about 230 million years ago. This was during the Triassic period. But they remained scarce. Other reptiles took center stage. Many mammal forerunners did very well. One example is the large plant-eater Placerias. 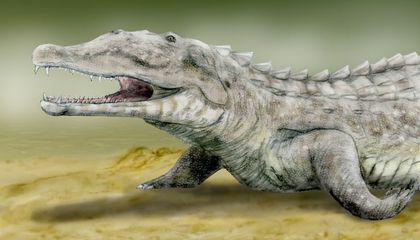 Huge crocodile-like animals like Smilosuchus were the top predators of the Triassic. Paleontologists who study the fossil record have discovered that something big happened 200 million years ago. It totally changed life on land and in the sea. And it paved the way for dinosaur diversification and prominence. What happened was so big that it caused more than half of all life on Earth to go extinct. The large crocodile-like reptiles that had led the landscape died off. So did many of the mammal forerunners. 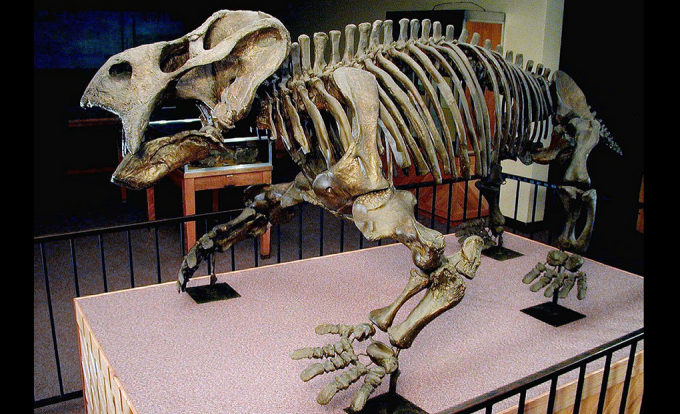 Find out more about the events that opened the door for the Age of Dinosaurs. Join us on Thursday, October 8, 2015, for a "Smithsonian Science How" live webcast. It is called How Fossils Explain the Rise of Dinosaurs. It airs at 11 a.m. and 2 p.m. EDT on the Q?rius website. Paleontologist Dr. Hans Sues from the National Museum of Natural History will appear live to discuss and answer questions. Get teaching resources to support your webcast experience. How were they not noticeable ??????????????????????????? ?Dinosaurs.There dinosaurs reptiles ??????? ?well they are all dead ????????????????????????. Dino's are cool, and there bones are to. We can now learn about them and put their bones together so others can learn too! There were no pictures in the time of dinosaurs. That is why you can't study pictures. Scientists rely on fossils then photos might be a hoax.Like when people posted videos of mermaid sighting turn out to be a hoax. (well some of the videos are true).Also fossils are better because scientists could predict what they eat,do,and how they sleep. There where no photographs when the dinosaurs where alive.